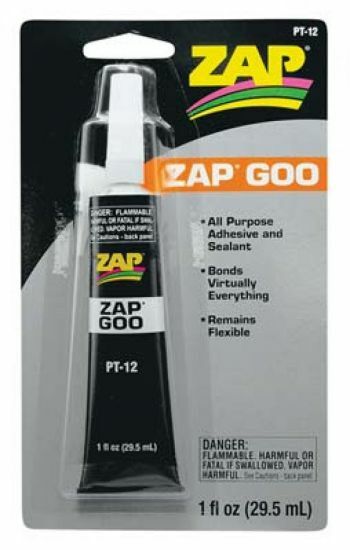 This is a Tube of Zap Goo Adhesive and Sealant by Pacer Technology. anything to anything with a strong flexible bond. seal-it, and stick-it jobs around the house. stay put even when subject to high vibration and extreme shocks. Takes 24 to 36 hours to full cure and reach maximum strength. Handles in 1 to 2 minutes. Zap Goo bonds can be cut with a razor knife.